I must admit that I'm afraid of medical check ups. Dunno, but I feel scared knowing if I'm sick. I really can't remember when was the last medical check up that I have and I'm guessing over a decade or so already. Lately, I'm having some troubles with my digestion and still I can't find the courage to go to the doctor to find out what is the problem. Yay, just the thought of going to the doctor and examination give me goosebumps. I have to fear or trouble if I'm going to the doctor accompanying my mom to see her doc but when it's my time, I really can't go. 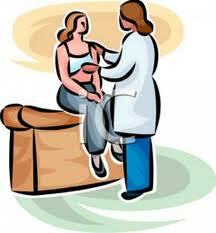 What about you, when was the last time you had your medical check up and what's the result?